The secure chain of custody starts here. Establishing a secure chain of custody is essential for achieving convictions and maintaining the public’s trust in your department. 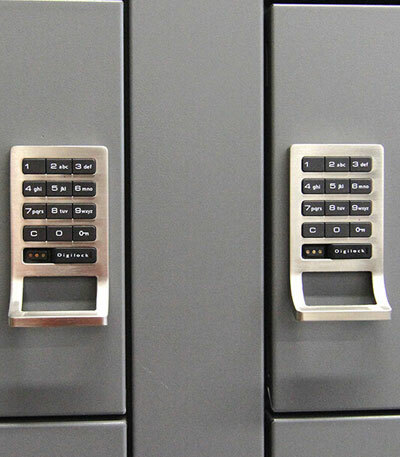 Spacesaver’s evidence lockers are vital links in that chain. 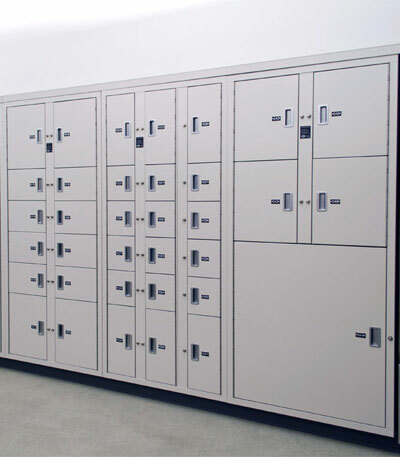 We offer sturdy, tamper-proof evidence lockers in a wide variety of styles and configurations, and they’re all designed and manufactured in the USA. 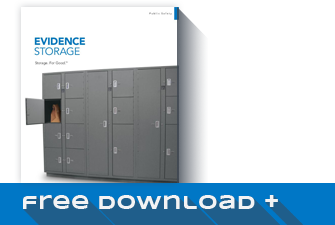 Our evidence lockers can be configured to suit the needs of any agency or department. Roll over the photo at left to see a few of our standard configurations or download the configuration guide below. Evidence can be deposited and retrieved by the same doors (non-pass-thru option), or evidence can be retrieved via a back door that opens into the evidence room (pass-thru option). Whether you need standard locks or PIN or swipe access, we offer locking options to suit your staff’s procedures and accreditation requirements. 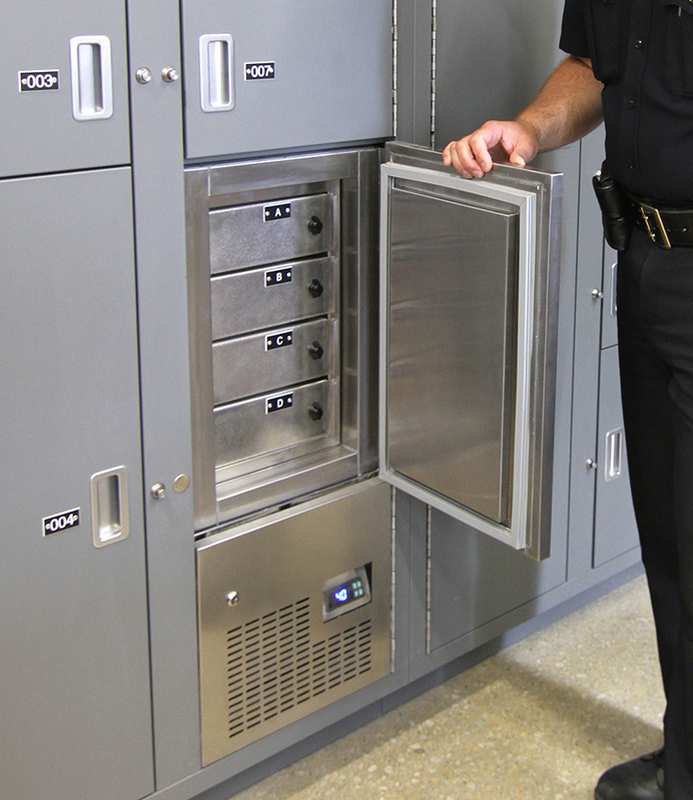 Available in pass-thru or non-pass-thru configurations, our refrigerated evidence compartments provide temporary storage for biological evidence. Our evidence drying compartments keep biological evidence secure while drying. 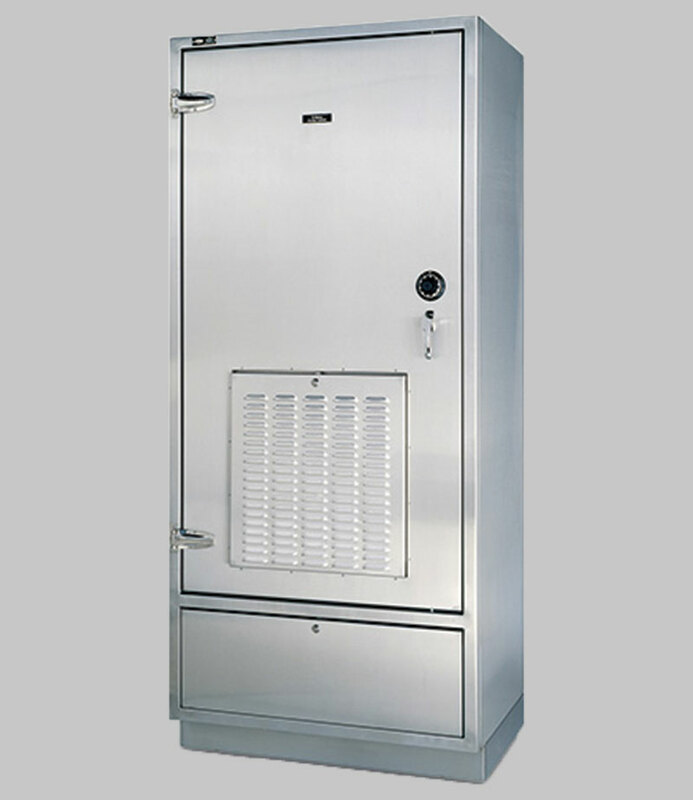 Compartments can be stand-alone or incorporated into a bank of temporary evidence lockers. Evidence technicians sometimes need to return or “pass back” evidence to the booking officer for presentation in court, or so the officer can properly package or label the evidence for processing. 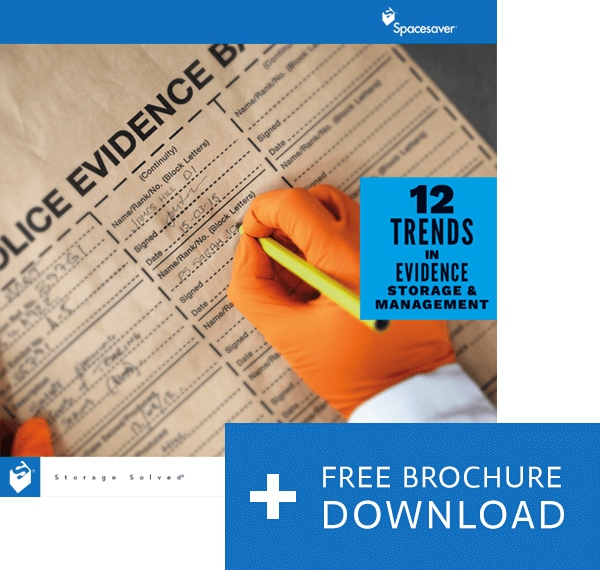 The chain of custody must be maintained while the evidence is in limbo between the booking officer and the evidence room, and that’s where pass back lockers come into play.